HD 6/15 C EASY! 11509110 https://www.kaercher.com/au/professional/high-pressure-cleaners/cold-water-high-pressure-cleaners/compact-class/hd-6-15-c-easy-11509110.html Cold-water pressure washer with EASY!Force accessories for daily commercial use. With its compact dimensions, robust construction and greatest possible manoeuvrability, this unit is a credit to the compact class. Cold-water pressure washer with EASY!Force accessories for daily commercial use. With its compact dimensions, robust construction and greatest possible manoeuvrability, this unit is a credit to the compact class. 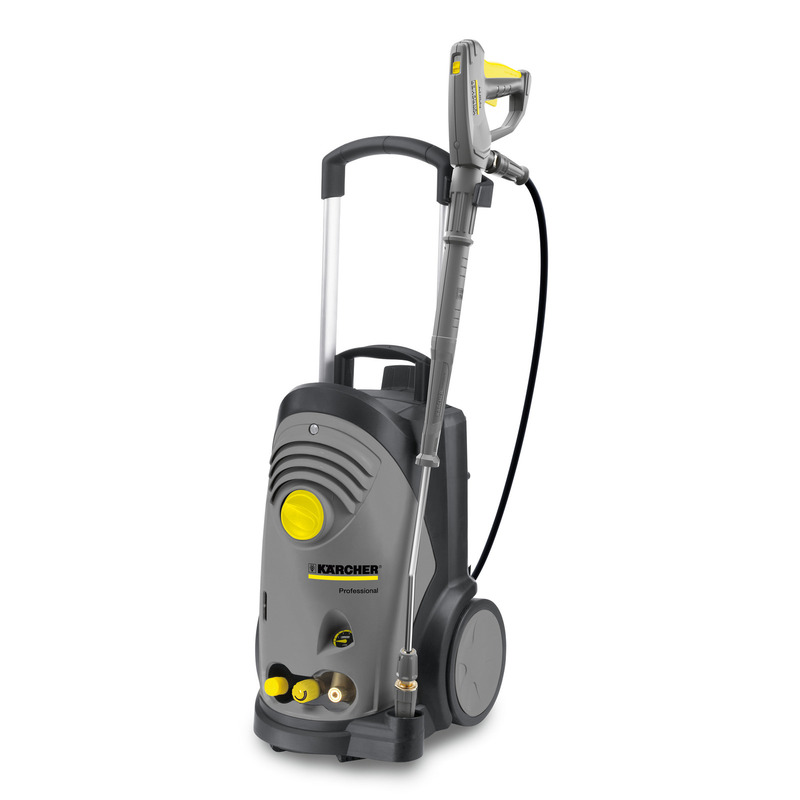 This cold-water pressure washer with alternating current drive unit is the ideal entry-level model for commercial end users. The upright HD 6/15 C boasts impressive mobility, compactness and a height-adjustable shaped aluminium push handle. The advantage of the push handle is that it can easily be adjusted to the operator's body height without using tools. In the extended position, the unit's generous stowage facilities ensure that accessories are always ready to hand and put away safely. In the retracted position, this handy unit can easily be stowed in any estate car or service vehicle. It boasts familiar KÄRCHER features such as a full shock-resistant plastic covering that protects the high-pressure pump from damage and soiling. Other very good features are a power cord storage (with plug lock) and a nozzle compartment arranged practically on the back of the unit. The cleaner comes with a three-way nozzle that enables the water jet to be adjusted quickly and easily. You can choose between a high-pressure pencil jet, a high-pressure fan jet (25°) and a low-pressure fan jet. The low-pressure fan jet (40°) is used for dispensing cleaning agent. The cleaning agent metering valve enables cleaning agent to be mixed continuously with the high-pressure jet. The large-volume oil container, which is very important for ensuring that the unit is always adequately lubricated, can be checked very easily from outside through an oil level inspection glass. The three-piston axial pump with chromed stainless steel pistons and a brass cylinder head guarantees a long service life and low susceptibility to faults. The special feature of this newly developed pump is that both the water inlet and the high-pressure outlet are made of brass, which makes them highly resistant to fracture and corrosion. Adjustable at the unit. For gentle cleaning of sensitive surfaces. Large aluminium profiles provide stability and good manoeuvrability. Holds accessories in the extended position. Retracts for convenient, space-saving transport, e.g. service vehicles/estate cars. For rapid cleaning at different locations. Space-saving storage in service vehicles. Fast set-up thanks to integrated storage options.